Winter is most certainly here and Vitra are truly celebrating with their wonderful "Home Stories for Winter" and we at Papillon Interiors are happy to help you find the perfect winter addition to your home! This Winter Vitra are not only providing us with their beautiful and stylish products, they are embracing the Christmas spirit and giving away free gifts with selected products. This is certainly an exciting proposal for any home enthusiast, Vitra offer such luxury and quality in their products that to then receive additional gifts only makes them all the more special. The Vitra Eames Lounge Chair. The Eames Lounge Chair from Vitra is one of the most famous designs by Charles and Ray Eames. Created in 1956 it is now a classic in the history of modern furniture. The Vitra Eames Lounge Chair brings together the raw materials and fabrics with the hard, dedicated workmanship to provide the highest quality of seating pleasure. The Vitra Eames Lounge Chair was based around the design of the English Club Chair, and this was an inspirational classic in Charles and Ray Eames's eyes. 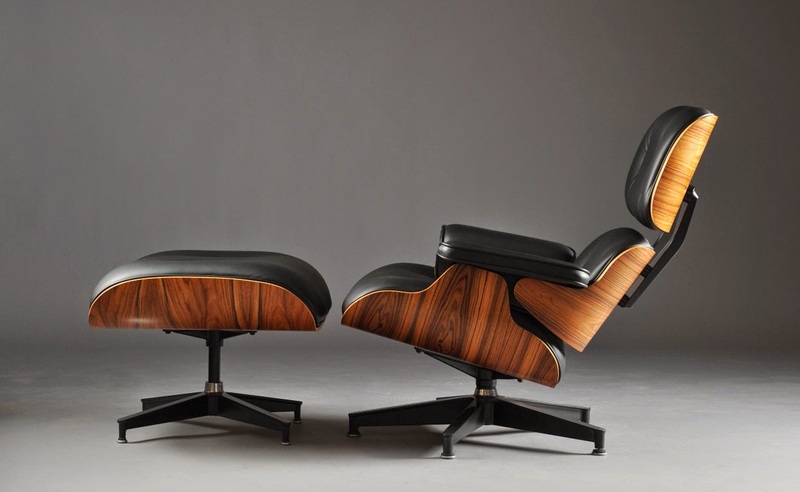 The original design of the Eames Lounge Chair came in dark wood veneer and the highest quality black leather. The Eames can now be found in a variety of shades and fabrics. My personal Favourite was the 60 year anniversary edition in Black Twill, although the Eames Lounge is a stunning chair in any fabric. Between 1st of November 2017 and the 31st of January 2018 when you purchase a Eames Lounge Chair you will receive either: Occasional Table (TLR), the Eames House Bird (in either black or white) or a Vitra Ceramic Clock! The Vitra Grand Repos Chair. The stylish new Grand Repos and Ottoman from Vitra reinforces Vitra's reputation for new and ground-breaking designs. Vitra, in collaboration with one of their most respected and long term design partner Antonio Citterio, have pushed the boundaries further to create the Grand Repos chair and Ottoman. The timeless elegance alongside a highly comfortable and intuitive design gives Grand Repos chair the air and feel of a modern day classic. The Grand Repos come in a beautiful variety of colours and fabric making them a beautiful addition to your home. **Any purchase of the Grand Repos or Repos Chair you can receive a free Ottoman or Panchina! The Eames RAR Plastic Rocking Chair was first presented as part of the famed New York Museum of Modern Art competition, "Low Cost Furniture Design". Their organically shaped seat shells made of fiberglass-reinforced plastic were later combined with various different bases, such as RAR's rockers and manufactured in their millions. There are so many wonderful accessories also in the Home Stories range it is a real treasure trove! Take a look and feel inspired this Christmas!